Deputy Prime Minister Hoang Trung Hai directed the implementation of solutions to treat waste at thermal power plants for energy conservation and environmental protection while working with ministries and departments in Hanoi on August 10. He urged the concerned parties to more effectively implement Government Decision 1696/QD-TTg on measures to treat ash, cinder and gypsum from thermal power, chemical or fertilizer plants for the production of building materials. 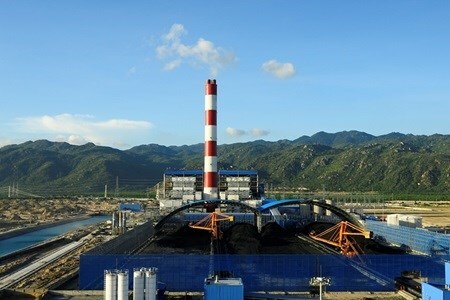 Special focus should be paid to the Vinh Tan (central Binh Thuan province), An Khanh (northern Thai Nguyen province), Song Hau (Mekong Delta Hau Giang province) and Vung Ang (central Ha Tinh province) thermal power plants where waste treatment is a pressing issue, he said. He asked the Ministry of Industry and Trade and the Ministry of Construction to coordinate with localities to disseminate effective waste treatment models while supplementing and completing criteria on the quality of ash and cinder for recycling in cement and construction material production. Vietnam is now home to 19 operating thermal power plants with a total capacity of 14,480 megawatts which discharge about 15 million tonnes of ash and cinder every year.